Users can amuse their friends with this versatile voice manipulation app. The creative voice effects app from Sergio Viudes is now enabled for Android* tablets powered by Intel® Atom™ processors. Mobile device users can import, record and alter their voices in hilarious ways. This simple, intuitive app captures the user’s voice and makes dozens of filters available to play with a wide range of sounds. Masks include wild effects like Monster, Cave, Backwards, Alien or Child. 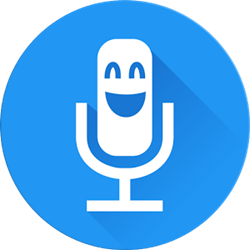 Disguising speech or telling jokes in silly voices is instant and entertaining, and users can also import clips, even create ringtones and notifications. Wacky new songs, stories or sayings can be shared via WhatsApp*, Facebook* or email. Now mobile device users worldwide have fast access to this engrossing activity, with so many distortions, and crisp, high-quality audio, even commonplace phrases sound outlandish. Sergio Viudes had access to support and resources through the Intel® Developer Zone.